DALLAS, Apr 2, 2012/ — If you’re tall, patterns are peachy—especially polka dots and other prints that are proportioned just so. 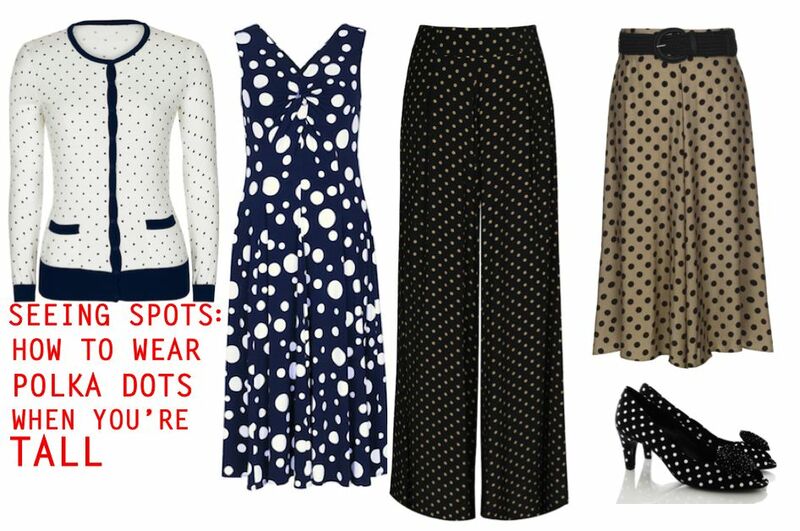 Case in point: Long Tall Sally’s spot on take on polka dots for spring, which turn up in demure Mad Men-inspired sweaters, circle skirts and peep-toe pumps, among other chic separates. What’s more, Long Tall Sally is celebrating national Stand Tall Week from April 16th – 22nd. Contact us for expert fashion tips for tall women, to find out who was voted the most stylist tall celeb in a nationwide poll, and more!